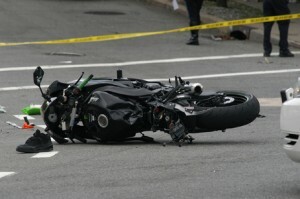 Motorcycle Accidents – A motorcycle is an extremely dangerous machine. When it comes to riding in California, the danger is ever present. High speed and heavily congested roadways significantly increase the terrible risks of motorcyclists. 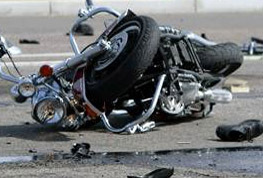 When motorbike accidents happen, the damages are often terrible and catastrophic. 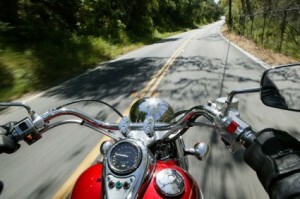 Unlike other motor vehicles such as cars and trucks, motorcyclists are not restrained by seat belts and protected by vehicular frames. This means that a crash results in direct impact with the road, or worse, contact with other fast moving and heavy automobiles. Where a negligent driver causes a crash, the victim has the right to file a lawsuit against that driver for damages. 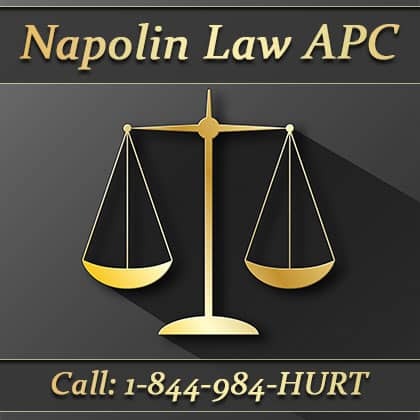 Napolin’s firm and its associated attorneys have recovered over 100 MILLION DOLLARS for victims of roadway accidents. The firm’s sophisticated group of trial attorneys have over 50 years of combined trial experience in the field of law. If you are a victim of a fall or crash, you can contact us at 909-325-6032 for a completely free legal case evaluation to see if we can represent you. Callers learn about their legal rights. And, we apply contingency fee billing. Contingency fee attorney billing means that the client is not charged a penny unless there is a successful recovery. These are just a few types that differ in nature from normal motor vehicle crashes. Napolin Law Firm understands how to fight hard to uphold the value in the claims process and at trial. Hiring a lawyer immediately is extremely important. Proper compensation is generally only available to those who engage a legal professional with real litigation experience for broken bones and head traumas. Each type of bodily harm is valued differently. How much a lawsuit is worth depends on the type and severity of the bodily harm caused. Some problems are lifelong and will forever impair a person’s ability to carry on a normal life. In such cases, the value of a lawsuit could be significant where the victim is not at fault and where adequate insurance is maintained at the time of the accident. However, seemingly small problems that do not require long periods of medical treatment can be worth significant sums if pursued early by an experienced litigation expert. Because each and every case is completely unique, an attorney versed in the field of accident law should be consulted as soon as possible. If you or a loved one has fallen off their bike or been struck due to a driver’s neglect on the roadways, call us to speak to the #1 California Injury Lawyer in the State!